The chrome-finished Kupo Master Combo Stand is designed to hold loads up to 66 lb at its maximum working height of 7.5' using a single-riser, 2-section design. 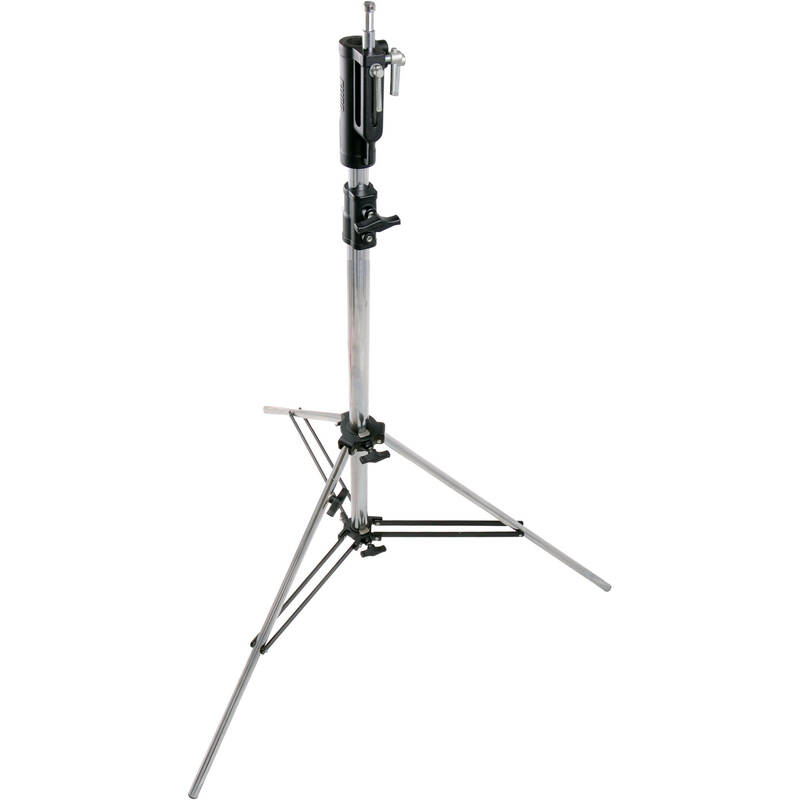 The stand features all-steel construction, a spring-cushioned center column, and a 1 1/8" receiver with a retractable 5/8" pin. A special feature of the stand is its leveling leg which extends independently from the other two legs to balance the load and add stability on uneven surfaces.